Prepare yourself as you head into the ski season by taking the precaution to protect your body. Common ski injuries include knee sprains, fractured or sprained wrists, strained back, shoulder dislocations and more. Often times, skiiers can prevent injury by wearing a brace or support while they ski. Bracing helps provide the added support for weak or unstable ligaments as well as provide reinforcement for commonly injured pats of the body. Our bracing experts recommend the following braces for skiers looking to hit the slopes. Skiing is an enjoyable winter sport, but it also comes with its fair share of injuries. Skiers are at risk for knee injuries because of the speeds at which they head down the slopes. Falling may cause the ski to get twisted, which brings the knee joint past its natural range of motion. This may cause knee sprains and torn ligaments. Learn more about other common ski injuries. Skiers are also at risk for back injuries from falling or long hours hunched over to get the maximum speed. The knee is not the only area of the body at risk during skiing. The back is responsible for most of your balance while on the slopes, and as a result it absorbs much of the force between your skis and the snow. This stress on the back may lead to back aches and soreness. Skiing braces may help prevent some of the injuries that occur during skiing. Not only do they help protect your joints, but skiing braces provide gentle compression to keep your body moving naturally and to give extra support. Skiing braces are also suggested for those who have been previously injured, such a torn ACL from skiing. 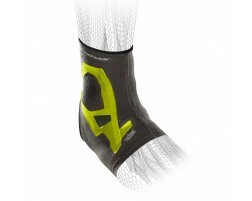 The extra support they provide gives confidence on the slopes and may help prevent re-injury. Check out our skiing braces for the knee and back recommended by our bracing experts today!